Cc vs. BB: Which one is right for you? First came the “BB”. Standing for “beauty balm”, it was a revolutionary turn in the beauty industry that took us from full coverage foundation, to a multi tasking moisturizer with instant skin smoothing results. First came the “5 in 1”, then came the “10 in 1”. Claiming to do things like hydrate, prime, radiate, protect, etc., the BB Cream was the industry’s newest and fastest selling super power. Every makeup company released their own version, many with an array of skin tones to suite every consumer. 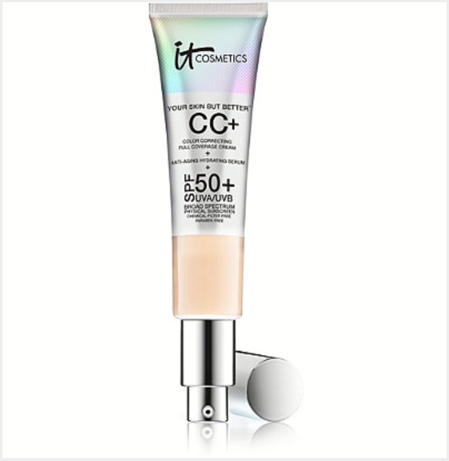 Now enter the CC Cream, which stands for Color Correction. In an effort to take multi tasking to the next level, these creams do everything BB creams do with the added benefit of being packed choc full of skincare ingredients…thus eliminating the extra step of a moisturizer/serum before applying your makeup. These creams contain everything from SPF to hyaluronic acid and an arsenal of vitamins and antioxidants. They often also contain color correcting pigments to help instantly even out skin tone. Long term, these creams also help combat fine lines and wrinkles, sun damage, and other aging concerns. Developed with leading plastic surgeons, this magic cream is clinically shown to improve skin texture and brightness. Avacado and Grapeseed oil increase skin hydration by 79%. Contains peptides, niacin, vitamins A, C, B, E, hyaluronic acid and hydrolized Collagen. Antioxidants and exotic natural botanicals are infused for long-term brightening and color-correcting benefits. Also boasts an SPF of 50, which is the highest on the market. And as if it wasn’t already amazing, it also has medium to full coverage and gives the skin a beautiful finish. Comes in 5 shades. Ok so TECHNICALLY, this one doesn’t fall under the “laws” of what deems a product to be CC or BB. 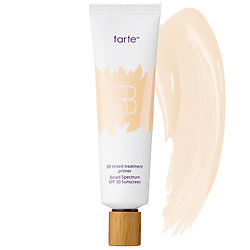 This fabulous product is more of a tinted moisturizer. But unlike most tinted moisturizers, this magic in a tube provides total full coverage, and boasts superior CLINICAL results like an increase in hydration after the first 10 minutes of wear…and a 79% increase in hydration in 10 days! These results also stated that 85% of women saw a visible improvement in the appearance of their wrinkles, and skin’s overall texture and smoothness in just over 1 week!!! Available in 4 universal shades. Grab both of the IT Cosmetics skin perfecters here. And while you’re there, check out what the whole line has to offer. Some of my favorites from this company are the Hello Light Lumenizing Powder along with ANY of their plush brushes! This advanced formula is not only light weight with an SPF of 30, but is clinically proven to fade dark spots, post acne marks, and instantly brightens and neutralizes skin. Linoleic acid and squalane provide tons of moisture. Contains natural botanicals like apple fruit and licorice root extract. Also has caffeine which can help stimulate and tighten the muscles in the face, giving a more lifted appearance. This one is buildable , with medium to full coverage. 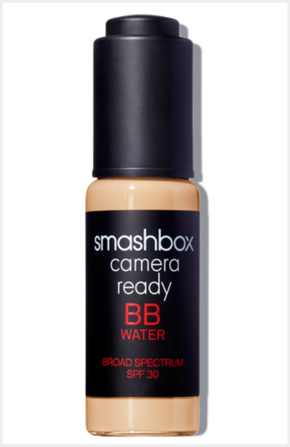 Smashbox also offers a lighter version called BB Water, which offers the same benefits, but with a more liquid consistency. Visit www.smashbox.com to choose your formula and shade. 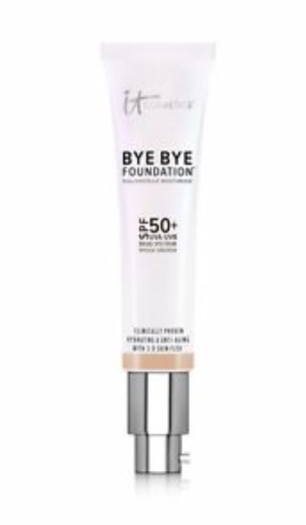 And if you’re new to the line, try the Camera Ready BB Cream Eyes which works as a light weight concealer and doubles as an eye cream with caffeine! Use in addition to your makeup ritual or as an alternative on days where you may only want to spot conceal. 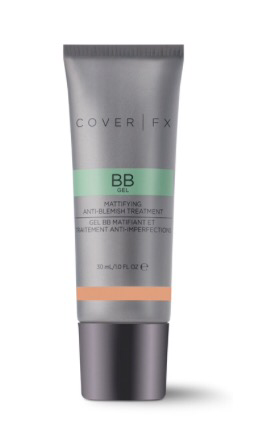 One of the coolest things about Cover FX’s makeup is that they contain TIME RELEASED Retinoid-like ingredients that deliver anti aging benefits WITHOUT irritation or sun sensitivity. This CC cream works below the skin to visibly lift, and firm, reducing the appearance of wrinkles. This oil-free, licorice root extract infused formula helps clarify and brighten skin tone, while Lactic Acid (which is already found in our natural chemistry) and cocoa seed butter help hydrate. This clinically tested and vegan product does not contain the “ Inflammatory Five”: gluten, mineral oil, fragrance, parabens or talc. Buildable medium to full coverage. Cover FX also offers a gel cream version with salicylic acid for those who are prone to breakouts. I recommend keeping both on hand if you mainly have clear skin and only break out from time to time. You can check both of these creams out here. Contains Camu Camu, one of the highest recorded sources of vitamin C on the planet, along with Arbutin – A natural bearberry plant extract that helps brighten and even skin tone. Fun fact: The Camu Camu berry contains 30 times the Vitamin C of an average orange. The line comes in 3 shades that perfects all skin tones and is blended easily with added SPF 30 for great sun protection. Glycerin & Hydrolyzed Collagen help provide and retain moisture, and Vitamin E – An anti-oxidant that helps protect against free radical attack. Medium to full coverage. You can find this super charged CC Cream at Sephora. 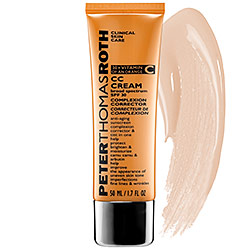 FYI: Peter Thomas Roth skincare is great for ages 25+. Looking for a great exfoliating peel? I love their Unwrinkle Peel Pads! Powered by mineral pigments, this oil-free tinted moisturizer delivers natural, sheer coverage while offering SPF 20 AND comes with a built in primer! Amazonian clay, which is the base of almost the entire Tarte line, reduces dryness, improves skin clarity, elasticity, firmness, and texture, and removes oil from the skin’s surfaces with micro-treated mineral pigments for an ultra smooth application. Dermatologist-tested, this formula is packed with ingredients like apple and camellia extract, chamomile, vitamins A, C and E, and sodium hyaluronate. It visibly hydrates, softens, and brightens your skin, leaving you with a flawless, sheer to medium “skin” finish. Comes in 5 sheer shades, 2 of which are available in travel sized if you snag them from Sephora. I suggest applying any cream or liquid face makeup such as a BB, CC, or foundation with a dense synthetic brush. Synthetic brushes won’t absorb the product like a natural bristle brush will, leaving you with less waste. While natural brushes have their place and time for usage, I tend to use mostly synthetic brushes because they also keep from holding bacteria which will in turn, keep you from breaking out. Applying face makeup with a brush results in a smooth, airbrush finish…something that can’t be achieved with your fingers or a sponge. 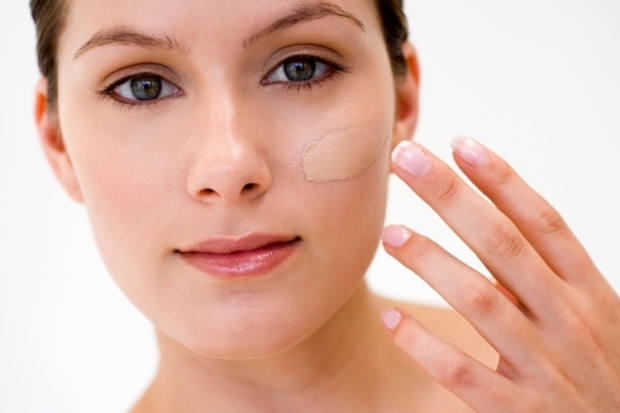 Companies that make CC and BB creams, most often offer a brush to apply them. Depending on your budget, you could splurge for one of those, but here’s a little secret……you can find some great affordable brushes RIGHT HERE. Hopefully I’ve saved you from hours of standing in the middle of some makeup superstore, going cross eyed from trying to choose the product that’s right for you. At the end of the day, choosing makeup is a matter of trial and error. What works for you, might not work for your best friend, aunt, or neighbor…and vise versa. Blog | bb, bb cream, beauty balm, cc, cc cream, color correction, complexion, makeup, skin, skin care, spf | March 7, 2016 .